Description: Inscription at the top 776-1896, Olympic stadium in the distance with Acropolis beyond. Athena holds an olive crown for Olympic victors. 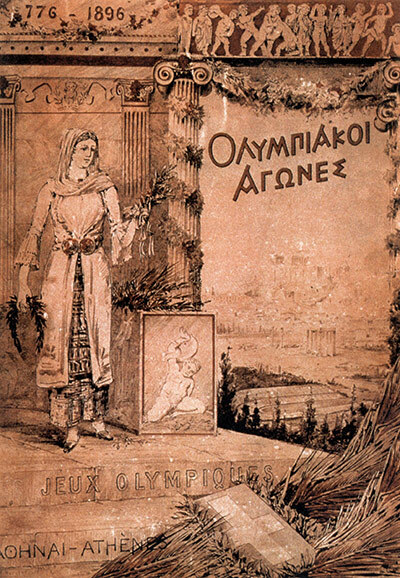 The inscription on the pedestal step reads “Les Jeux Olympiques”, the floating text to her right is in Greek and says “The Olympic Games”. Notes: This is not actually a poster, but the cover from the Official Report from the games. This particular cover is the Greek version, but the cover can be found with the text in several languages.